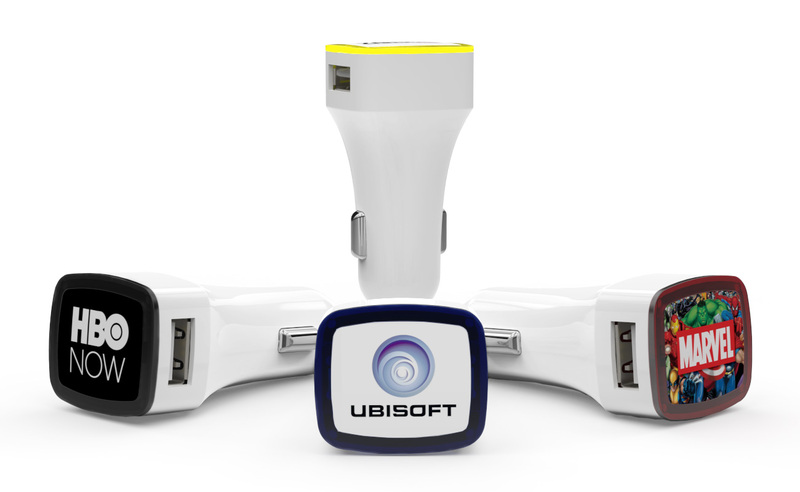 We’re delighted to announce that a new model has joined our ‘Power’ product category – the Duo USB Car Charger. This new model complements our existing range of USB Flash Drives and Power Banks. As the name indicates, the Duo allows for the simultaneous charging of two devices, via the dual USB port. Furthermore, it features an LED light around its outer edge that illuminates when the device is in use. Coming in seven distinct colours and offering a branding area of 21mm x 25mm, the Duo Car Charger is a highly practical device that will showcase your organisation every time your client sits behind the wheel. At the time of writing, the Duo is available to customers in the USA, Canada, Mainland Europe, Britain, Ireland and Australia – we will be launching in other countries shortly. If you’d like to know more about the Duo Car Charger or any other products in our Power or USB Flash Drive range, please fill out our Quick Quote Form and a dedicated Account Manager will be in touch as soon as possible.